There are few things as endearing as the classic image of the bar mitzvah boy, standing proudly in his new suit, surrounded by adoring parents, happy family members and excited friends. The smile radiates from his face and you can sense that while he looks like a little man, somehow there’s still a glimpse of the little boy in him. For the bar mitzvah boy who grows up in poverty, the image is not quite the same. Often there is no new suit. There is no bar mitzvah celebration with family and friends. Frequently there isn’t even a pair of tefillin for him. Then the little boy is just a little boy, and instead of feeling proud his emotions can run from embarrassment to resentment to disappointment and just plain sadness. For over ten years, Yad Eliezer has been working to prevent this occurrence through our Bar Mitzvah Twinning Project. Our program provides boys worldwide the opportunity to twin with their Israeli counterparts from impoverished backgrounds, helping them celebrate their simchas too- joyously and in a meaningful way. A donation of $500 sponsors tefillin for the bar mitzvah boy in need. For a $1,000 contribution you can sponsor a Bar Mitzvah with a complete package including tefillin and other expenses such as new clothes and/or a modest celebration. This project brings happiness to the recipients, helping them enjoy the excitement of reaching their important milestone, and empowering them to feel just like their peers. It also beautifully enhances the patron's simcha, as he experiences first hand the invaluable mitzva of generous giving. Commemorative personalized Yad Eliezer Bar Mitzvah Project certificates and matching bentchers, elegantly honoring the bar mitzvah sponsor, are available for purchase. 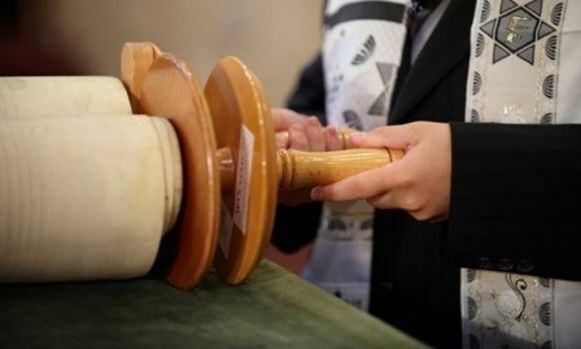 More than 100 Bar Mitzvah partnerships were made this year.